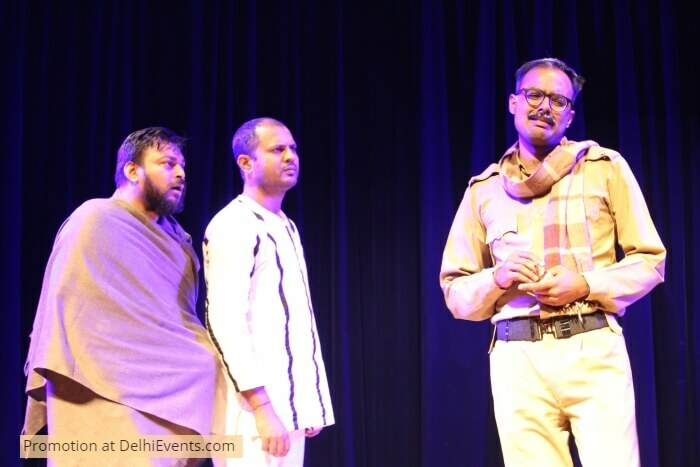 Event Description : THEATRE : Sehar presents "Kiston Mein Rengti Maut" Hindi Comedy Play. Kishton Mein Rengti Maut is a black comedy in Hindi that delves into the psychology of 3 prisoners awaiting death penalty. This play also takes an opportunity to satirise the contemporary social and political ills. We live in times when mob-lynching on any pretext is considered acceptable and as justice delivered in time. The play witnesses three such hate crime perpetrators awaiting their own penalties being carried out. With the date of their hanging nearing, they keep coming up with novel ideas to defer the final judgement. Will they succeed in living forever? About the group: SEHAR is a not-for-profit organization active in the field of theatre since 2005 with approximately 20 productions and 80 shows to its credit. The group was formed with the motive to raise awareness among the members of society on several issues that plague us.